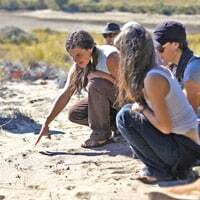 Quail Springs is deeply honored to welcome some of our most treasured storytellers, wisdom keepers and musicians for a magical feast of story and song under the stars of Cuyama. Come and celebrate the beautiful seeds of culture that bring us together as we gather by the fire to listen, remember, learn and sing. Held by the enchantment of the high desert, our esteemed elders, teachers and song keepers will share beloved stories and songs from a range of world traditions. Join the Quail Springs Village and our dear community for this rare and meaningful Wild Series Spring Festival. Proceeds from this event will go to our Seeds for the Next Generation capital campaign. Please endeavor to pay as much as you are able to support the beautiful work of Quail Springs to continue. 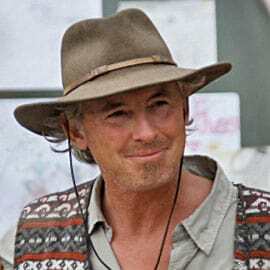 Warren Brush is a mentor, storyteller, a certified Permaculture designer and teacher, as well as a husband, a father and a grandfather. He has worked for over 25 years in inspiring people of all ages to discover, nurture and express their inherent gifts while living in a sustainable manner. 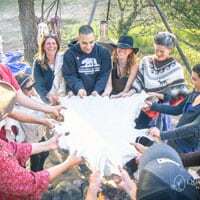 Tautahcho Muhuawit, Chumash/Ohlone elder, Owl Clan of the White Oak Family, lives in a handmade earth home nestled on the shoulder of Figueroa Mountain, overlooking the Santa Ynez Valley. He is Father, grandfather, husband and teacher. Tautahcho returned from the Vietnam War a spiritual warrior. Bulgarian folkloric soprano Tzvetanka Varimezova was born to a musical family in Pazardzhik in Bulgarian Thrace. She started singing and playing accordion at age 9, and went on to master tambura and piano at the Kotel High School for Folk Music and at the Plovdiv Conservatory. 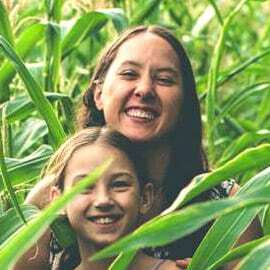 Rowen White is a Seed Keeper from the Mohawk community of Akwesasne and a passionate activist for seed sovereignty. 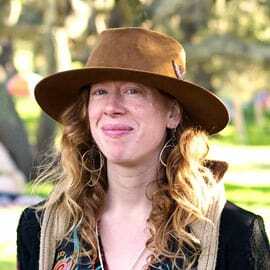 She is the director and founder of the Sierra Seeds, an innovative organic seed cooperative focusing on local seed production and education, based in Nevada City CA. 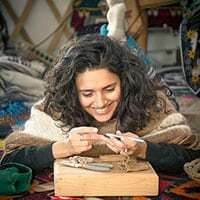 Natalie Bartlett has spent over the last decade of her life deeply immersed in land-based culture and has a passion for learning the stories, music and skills of peoples around the world. 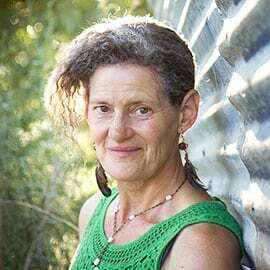 She is a hide tanner, craftsperson, teacher and musician, and has been song-catching and singing with the internationally acclaimed women’s vocal ensemble, KITKA, since 2014. Ramon and Debbie Rodriguez enjoy sharing Bolivian folk music from Ramon’s motherland. Ramon is an artist and musician who grew up in the countryside of Bolivia. Debbie is a writer and designer who met Ramon while she was a Peace Corps Volunteer in Bolivia. They share the magic and beauty of an ancient culture through music and art. Debbie and Ramon Rodriguez enjoy sharing Bolivian folk music from Ramon’s motherland. Ramon is an artist and musician who grew up in the countryside of Bolivia. 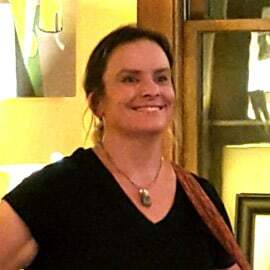 Debbie is a writer and designer who met Ramon while she was a Peace Corps Volunteer in Bolivia. They share the magic and beauty of an ancient culture through music and art. Mehri is a singer-songwriter known for her special blend of folk, soul, blues and Eastern influenced improvisational vocals. Her lyrics are poetic, intimate, genuine and inspired by the mystic Poets of Iran as much as the folk poet-songwriters of the 60s and 70s. Festival Fee*: $350 – $500; sliding scale. *Proceeds from this event will go to our Seeds for the Next Generation capital campaign. Please endeavor to pay as much as you are able to support the beautiful work of Quail Springs to continue. Children (ages 6 – 13): $100 – Under 6 are most welcome and donation based – please contact us below for more info. Fee includes: Fee includes 3 catered farm-fresh meals per day, camping, and facilities.